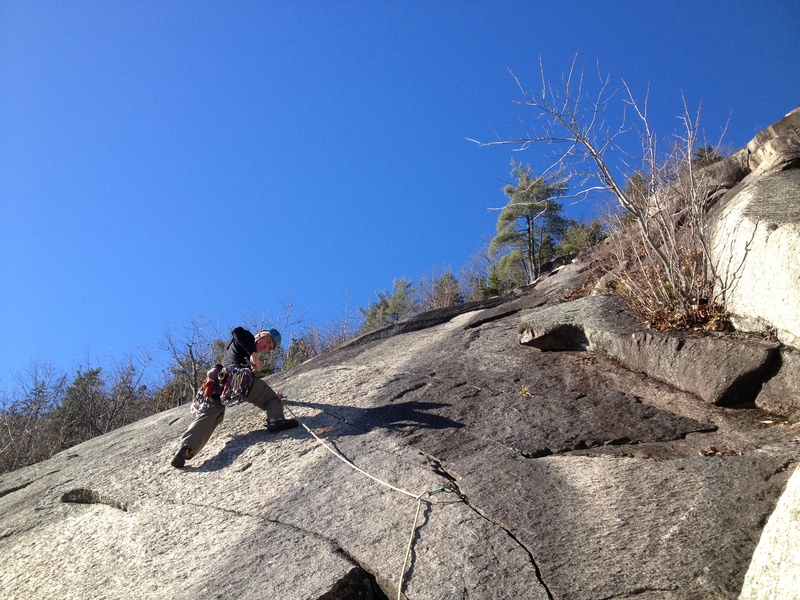 I had the opportunity to head back out to White’s Ledge in Albany, NH again today with my friend Bob. Today’s weather was even better than a few days earlier, with crisp dry blue sky and plenty of sun to keep this south eastern exposure in comfortable temps. If felt like climbing in the drier western states and was pretty blissful all day. We hiked in this time from the harder to find White Ledge trail. It’s unmarked, but if you find the northern end of Pine Knoll Rd its just across from that. Look for a short steep paved section that quickly turns to dirt, and that’s it! Using this approach shaved 10 minutes from our approach, shortening it to 45 minutes flat. 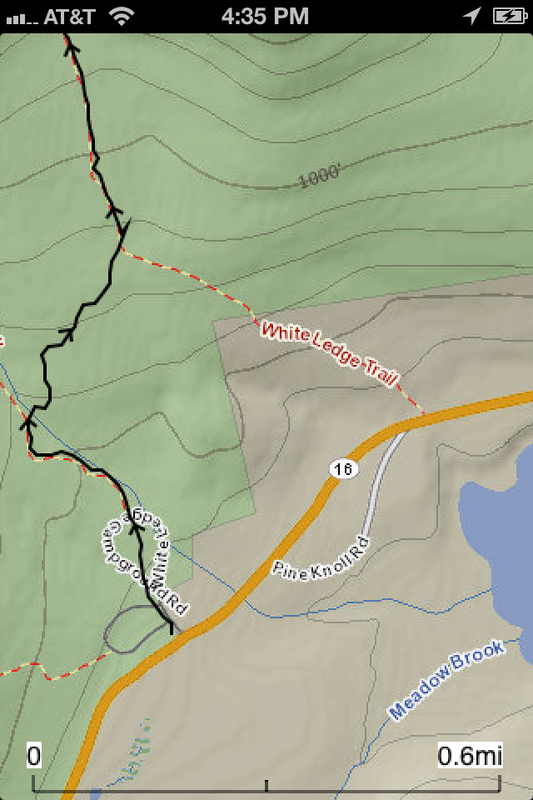 White Ledge Tr, this screenshot highlights the campground approach, we used the White Ledge Tr just across from the northern terminus of Pine Knoll Rd. After our last visit 2 days ago we consulted the topo and realized we had not climbed the actual 1st pitch of Go West Young Man but had climbed the slightly harder 1st pitch of Manifest Destiny, instead. This time I followed the correct 1st pitch and arrived at the anchor for Go West. 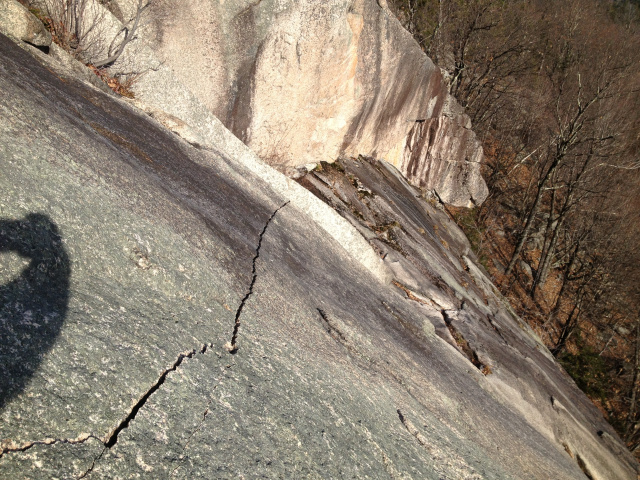 Bob wanted to check out the 2nd pitch of Trail of Tears so he jumped on that. Easy fun moves led into a wide open book then a few slabby moves led into a beautiful hand crack. 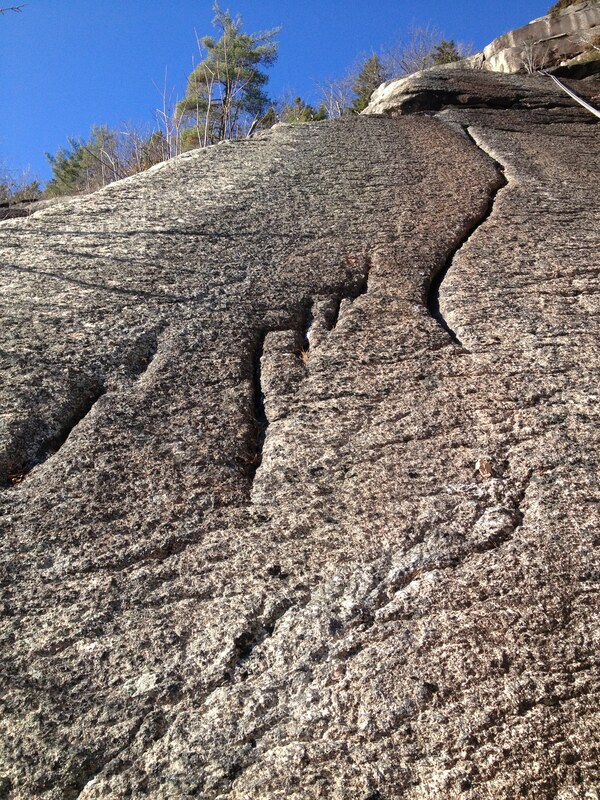 After rapping from a nice bolted belay at the top of this 140 foot pitch we got on Go West Young Man, armed to the teeth with some smaller TCU’s, Aliens, and a couple micro-nuts. I finished up the 3rd and 4th pitches, though I got a bit off route on pitch 4 and ended up finishing on Eminent Domain… it was all good. Two 60m double rope rappels can get you on the ground if you trend climbers left a bit to reach the double bolt anchor on Eminent Domain (skipping the pine tree rappel). 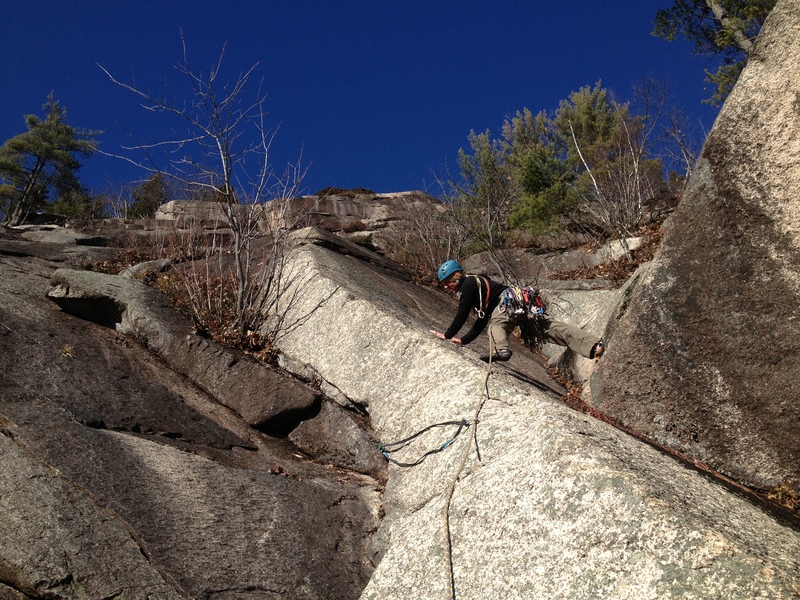 I’m not sure if I’ll be getting any more rock climbing days in this season, but if this was the last day of the season for me I can’t complain!